The start of a New Year is always such a great feeling. You get to leave any worries or troubles behind in the previous year (or try to) and start fresh again with a blank canvas. For me 2016 wasn't quite the shitstorm of a year that it seemed to be for a lot of other people. I met MN, my brother and SIL found out they were having a baby, my sister and her girls finally got their new house, my moms scans continued to come back with good news, and my dad started a new job which meant that the oil industry was finally starting to pick up. I worked really hard on hitting some financial goals and though I didn't quite achieve them I got myself that much closer for 2017 and I definitely can pat myself on the back for that. In 2017 I am going to be in the best shape of my life I was there last year and it killllls me that I have done a bit of a backslide. When I met MN in May 2016 I was at my smallest weight since probably high school. I had just finished my second Whole30 of the year and had been doing the 21 Day Fix up until I left for the Twin Cities. Then came Summer and with travelling back and forth from SK to MN quite often throughout the rest of the year my fitness goals just slipped away. With turning 30 this year (eeeek!) I am determined to be in the best shape of my life by my 30th birthday and the trip to Vegas that I am taking to celebrate! In 2017 I am going to complete this reading challenge 2016 was not a good year for me for reading. And I LOVE to read. My Nook finally died at the beginning of last year so that didn't help at all but it was also just a busy year with working two jobs and looking back I feel like I hardly had any 'me' time. Really the only time that I did any reading was on my train travels to and from the Twin Cities. That is going to change this year for sure - I miss snuggling up under the covers with a good book! In 2017 I am going to CONNECT 2017 is the year I work on my friendships and relationships and also the year I make time to connect in the blog world - and I can't wait! In 2017 I am going to stop using credit cards I am SO close to being completely credit card debt free and it feels so good! This was a plan put into motion last year and though I didn't completely make it through the year credit card free I did a lot better than previous years and I paid off a LOT of debt. I do still plan to use my credit cards to earn the rewards but they will only get used like a debit card and I will pay off any purchases immediately so I don't end up back in a situation like in the past. If I don't have the money it won't be bought! In 2017 I am going to travel somewhere I have never been Chicago, Seattle, and Toronto are at the top of my list but I will take anything I can get! Last year I spent most of my time travelling to the Twin Cities to see MN so I didn't get to expand much on traveling to new places. I travelled to the Twin Cities 7 different times last year and aside from a whirlwind road trip to Kansas City that was it for my travels for 2016. I did get to cross travelling to a new state off of my list when MN and I took a day trip to Wisconsin to visit the Leinenkugel brewery and a stop for lunch at what is now my second favourite restaurant of all time (behind the Gristmill in Gruene, TX). I also got to explore Duluth, MN which was absolutely gorgeous - I can't wait to go back! I didn't even make it to Vegas in 2016, the first year since 2008 that I didn't go! I have so much to look forward to in 2017. The birth of my first nephew in February, my 1 year anniversary with MN, my 30th birthday and a trip to Vegas to celebrate, Krickit's third birthday, and so much more - I can't wait to see what else 2017 has in store for me! I also have BIG plans for this space of mine, which include my goal of CONNECTING more, and I'm excited to get started on them. 2017 is going to be the best year yet! 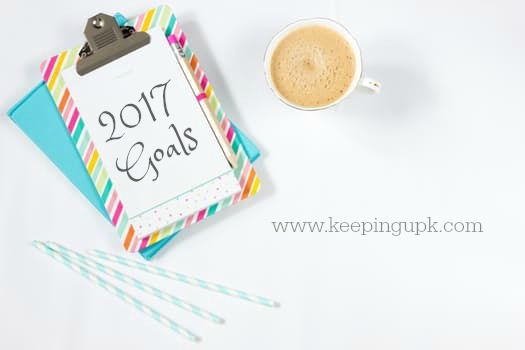 Wow, you certainly have a lot of goals for this year! Can't wait to watch your progress! I, too, want to connect more with other bloggers as well as my readers, and really grow my engagement. I read somewhere that the reason time seems to go faster as you get older is something to do with science. The older you get, the faster time seems to go by. This probably sounds stupid without having an article to back it up but basically I'm just trying to say YOU ARE RIGHT. My nighttime routine is like, 3 times as long as my morning routine! In the mornings I just get up, slap some makeup on, and go, but at night I like to spend close to an hour relaxing and putting on my lotions and potions. So, twins! You have a lot of great goals for this year!! ^^ she's right - it's because you have more time behind you. when you're a kid, a day seems like ages, a week FOREVER and a year is like incomprehensible. as an adult, we've lived more (duh) so a week is nothing, a year is reasonable, a day is a blink. you know? good to hear 2016 was such a great year for you girl, i hope 2017 is everything you want as well. i hope you're able to find some me time and step back from the business. we paid a car off this month and i can't wait to see the benefits of that extra money.